Google just announced a lovely hockey puck of a gadget called the Google Home Mini. As the name implies, the device does everything a Google Home does in a much smaller package. It’s also cheap! The Google Home Mini is four inches across, covered in fabric, available in three colors (coral, chalk, and charcoal), and generally elegant-looking. There are four LED lights on top that indicate when it’s active and whether it hears you. Just like its big brother, the Home Mini works as an access point for Google Assistant, so you can ask questions or bark commands and do all kinds of fun, futuristic things. 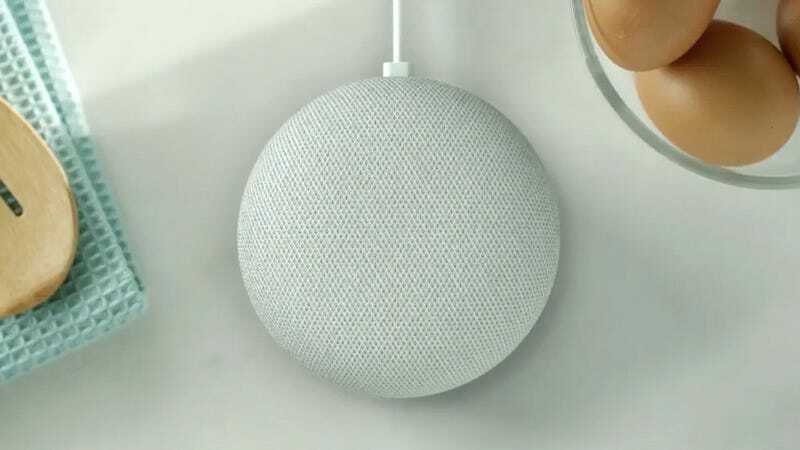 While the Home Mini does have a comparable microphone setup, the smaller Home device doesn’t pack the same speaker capabilities of a full-sized Google Home, although there is one 360-degree speaker packed into the small size. That’s not a big deal, though. The Google Home speaker was never quite amazing. Here’s the best part: the new Google Home Mini only costs $50 and is available for pre-order starting today. It will be available in stores on October 19th. For that $50 price tag, you could probably fill your whole home with Home Mini devices for the same $130 price tag of a single full-sized Google Home. Again, you won’t get the bigger speaker, but who cares. It’s cheap.